Kitchen Witch seem to be playing on every stage in Adelaide lately, and rightly so! 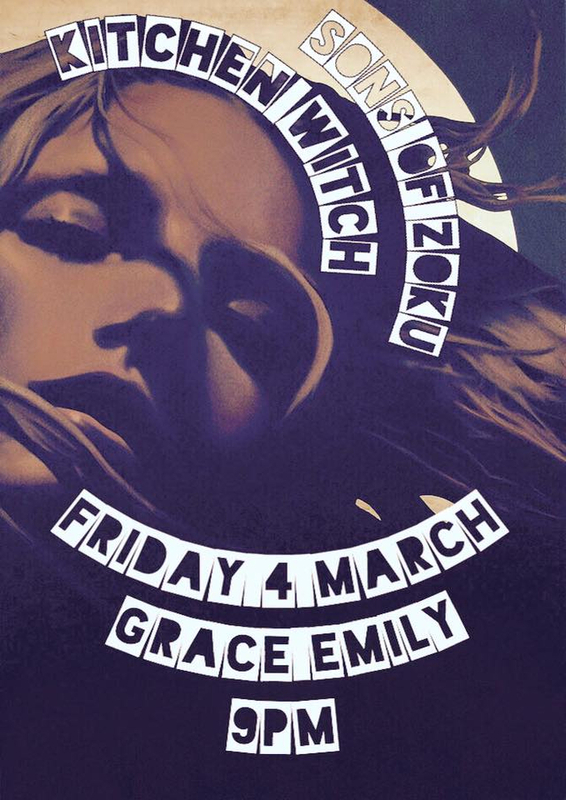 Fresh from supporting The Sword (USA) a few weeks ago, the band are back at The Grace Emily with Sons Of Zoku supporting. If you’re looking for a Frusic show, our top picks are highlighted with a so make sure you get along to some of them! Hotel Metro – X3 Lodge, Arvin & Rascar Capac.